Superfast, single-handed clamping. Simply squeeze the trigger to advance the movable jaw forward. The ratchet-type mechanism produces a significant amount of pressure. 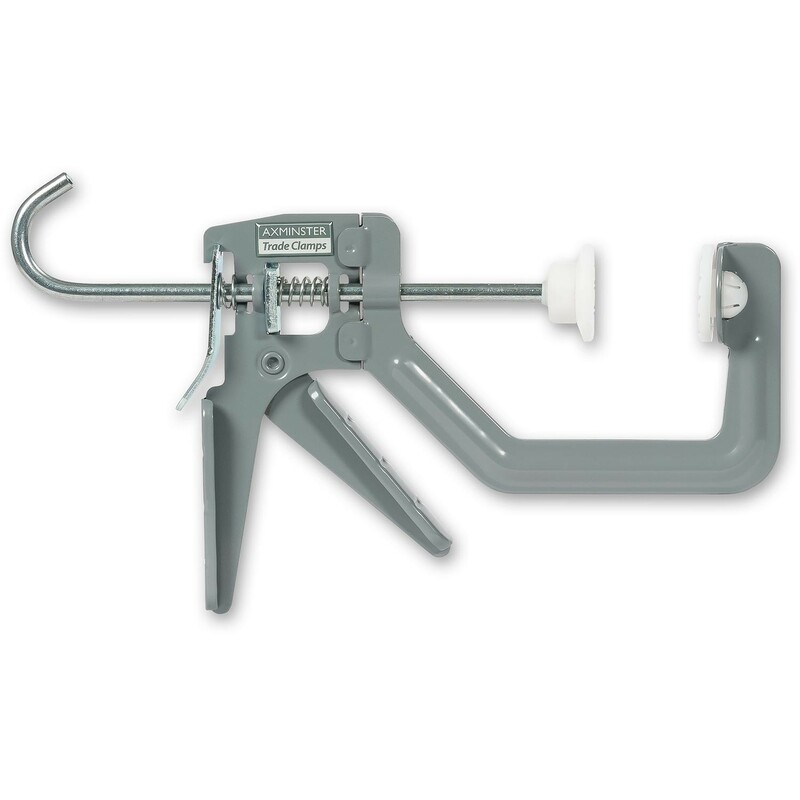 With an Axminster Trade Solo clamp, you can hold work pieces in position with one hand whilst tightening the clamp with the other. Non-marking plastic faces on the jaws prevent damage to your work. Jobs requiring large numbers of clamps take just a few minutes.